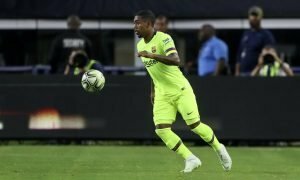 Exceptional defensive midfielder tops Arsenal's January wishlist | The Transfer Tavern | Where football transfer rumours fly or die! Arsenal fans in the Transfer Tavern have endured a difficult month, going three Premier League games without a victory and seeing a wealth of first-team stars lost to injury problems. They sincerely hope their fortunes improve over the festive period and are adamant money needs to be spent in January. Fortunately for them, The Evening Standard says Bayer Leverkusen’s Lars Bender is top of their transfer wishlist and the Bundesliga side are hapless to stop the German international leaving in the New Year. With Francis Coquelin out for the next three months, Arsenal have a major hole to fill in the middle of the park and their situation hasn’t improved with Santi Cazorla the latest man to be preparing for a lengthy stint on the sidelines. Mikel Arteta, Jack Wilshere and Tomas Rosicky remain sidelined too, leaving Arsene Wenger with a major headache heading into the most competitive stage of the season- where Arsenal face huge tests in the Premier League and a winner-takes-all tie with Olympiakos in the Champions League. 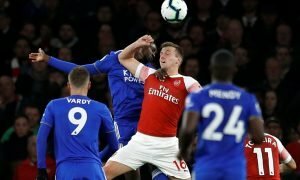 Our fans are optimistic Bender can be secured in January but are concerned it may be too late by then, as poor results could see Arsenal’s title chase and European campaign end prematurely. Arsenal fans, how on earth will you get through this month? Let us know in the comments below!